Today, it was Mila’s first day at her new French school. So this afternoon, I taught her how to make a pizza…. I think it would be quite a nice tradition to start for Mothers and Daughters to make pizzas on the first day back at school, don’t you think?? What did you do with your kids? Oh oui quelle belle idée… nous venons juste de faire une tourte épinard-chèvre… mais ready made paste…!!! Bonne rentrée Mila!! Sounds like a great tradition to start on the first day back to school. We sat in the garden in the lovely Sept sun with cold drinks, cakes and a few sweet treats, talking about the new class and seeing all his class friends again. ok je te laisserai traduire dans ton prochain post quand Mila l’aurait faite cette tourte!!! 1kg d’épinards en branches (surgelés ça le fait) a faire cuire très doucement avec une noix de beurre, sel, poivre, un filet d’huile d’olive et qq grammes de noix de muscade rapée. 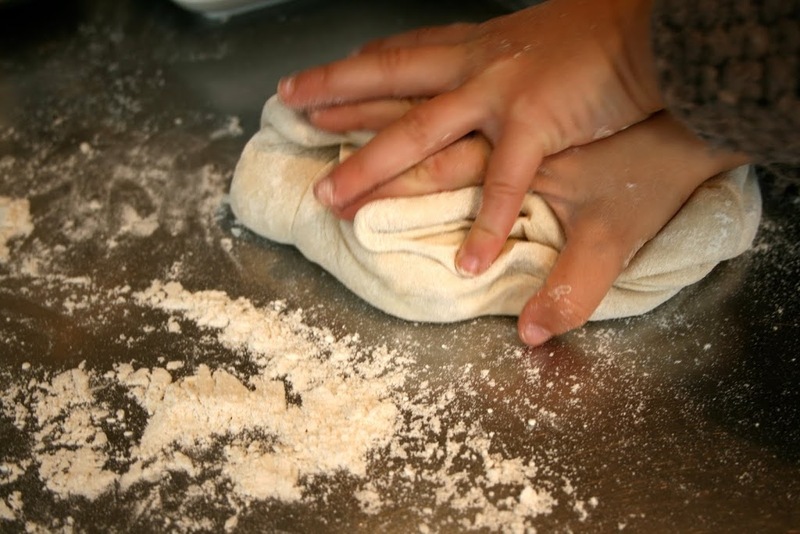 We also have home-made pizza on most Friday nights – delicious and a lovely fun way for the family to get together. We always have an Indian curry feast on the LAST day of school, but I love this idea of also celebrating the first day as something positive. I am in London next Friday and will be passing through Chiswick on my way from Kingston to Queens Park. Would love to call in to your office for a coffee, will you be there?